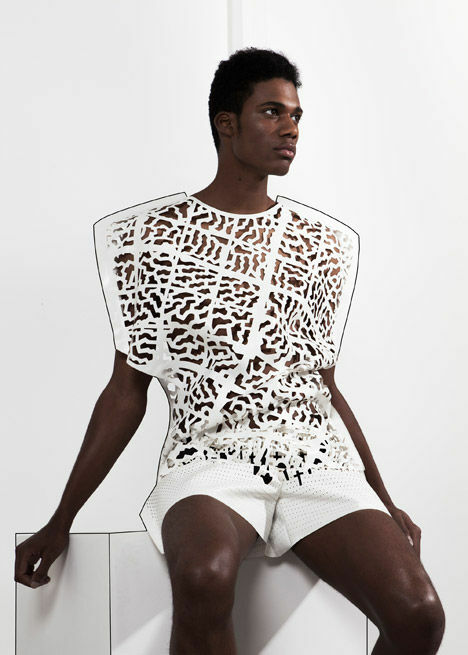 Rotterdam-based designer Martijn van Strien has designed 'Contradictions,' a unisex collection of laser-cut garments inspired by architecture. The collection, which was exhibited during Dutch Design Week, is the first to launch from his label mphvs. 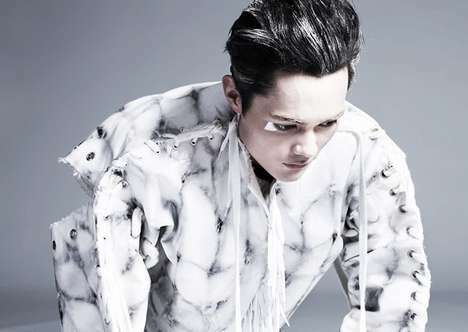 Strien's previous designs featured PVC tarpaulin, a hefty material that he again experiments with in this collection. He explains that the collection is "inspired by a man who travels the edges of his existence." The clothing, then, is intended to reflect the man's journey, mirroring the buildings, bridges and man-made structures he passes along the way. The sculptural silhouettes and angular shapes of the garments, which are made possible by literally welding together the seams, are softened by rounded necklines.